Uniformity with moments of variety delight the senses in this mid-century wall hanging. Using natural fibers and the ancient technique of tapestry weaving, Swedish designer Ann-Mari Forsberg created this wall hanging, Red Crocus, in which flattened silhouettes of the flower dance across the visual field. 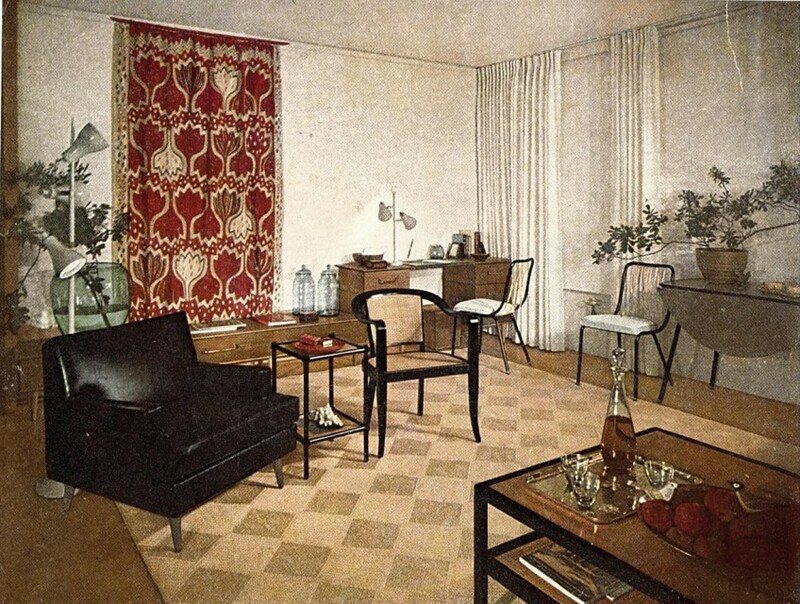 Red Crocus was shown in situ in a 1955 issue of House Beautiful, of which she was editor from 1941 to 1964. Elizabeth Gordon’s collection was celebrated with an exhibition at the Cooper Union Museum in 1964 called The Wonders of Thread. 1. "Elizabeth Gordon: A Finding Aid to Her Papers at the Freer Gallery of Art and Arthur M. Sackler Gallery Archives," Freer Sackler - The Smithsonian's Museums of Asian Art, section goes here, accessed April 17, 2013, http://www.asia.si.edu/archives/finding_aids/gordon.html.2. Elizabeth Gordon and Christian Rohlfing, "Introduction," introduction to The Wonders of Thread: A Gift of Textiles From The Collection of Elizabeth Gordon(New York City: Cooper Union Museum, 1964-1965), 2.3. Elizabeth Gordon and Christian Rohlfing, 1. Carly Lewis is currently earning an M.A. in the History of Decorative Arts and Design at Parsons. She has a B.S. in Textile Design from Philadelphia University and is focusing her studies on gender issues in regard to textile design practices in the 20th century.